When the bullpen cart was officially reintroduced last season, it was met with mixed reviews. Some players jumped at the idea of riding in on a glorified golf cart, while others scoffed at the proposal. Ultimately, it looks like the carts are here to stay for the foreseeable future. Given this, many teams now have a new job opening: bullpen cart driver. This important job will give you direct contact with star ​MLB relievers and the opportunity to watch a full season's worth of baseball...for free! The Washington Nationals recently posted the job with an online application. Still think you have got what it takes? Feel free to fill out the application here. 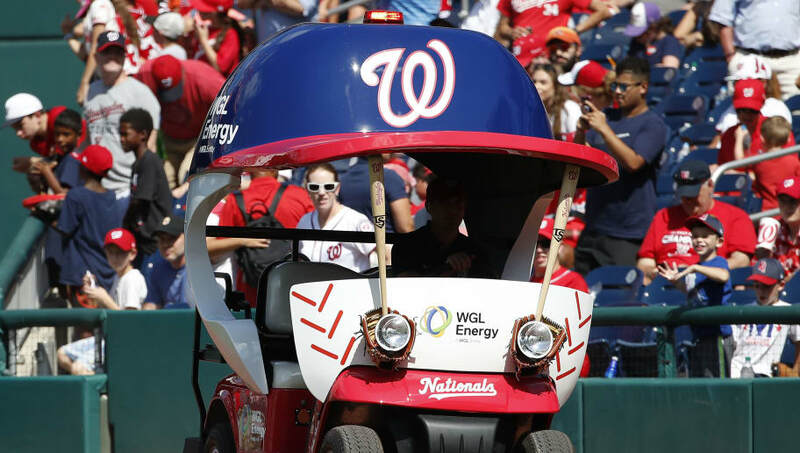 Whether or not the Nationals will actually use the bullpen cart is up for debate. Sean Doolittle was a strong supporter of the cart, but most of his teammates opted to take their usual jog in from the bullpen. Now that there's a professional driver, however, who knows? Maybe more pitchers will want to hop on to be chauffeured across the field. Of course, even if the driver never gets used, it would be insanely cool to hang around MLB players and get paid to do it.